The Piano Concerto No. 3 in C minor, Op. 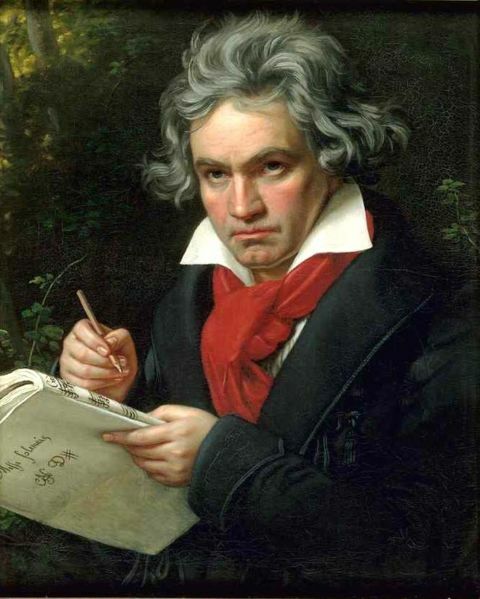 37, was composed by Ludwig van Beethoven in 1800, and first performed on April 5, 1803 with the composer as soloist. The Second Symphony and the oratorio Christ on the Mount of Olives also received their first performances during the concert. About two and a half minutes pass in the first movement before the piano intrudes on the orchestral introduction and announces its entrance with forceful C minor scales. The coda is similarly dramatic, emanating from very quiet trills, resulting in a regal, yet dark, climax. The second movement is in E major, opening with a much-admired melody for the solo piano. The finale, a rondo, begins in C minor and ends with a presto in C major. "I saw almost nothing but empty leaves; at the most, on one page or another a few Egyption hieroglyphs wholly unintelligible to me were scribbled down to serve as clues for him; for he played nearly all the solo part from memory since, as was so often the case, he had not had time to set it all down on paper."